"Ocean’s 8" might be the talk of the town, but Hong Kong has its own "Ocean’s 11" who’ve just released their latest blockbuster—a short film highlighting the city’s ever-pressing plastics problem. Shot over 10 days in Hong Kong, “Start Small, Start Now” is a collaboration between award-winning film duo Photo Escapes and EcoDrive, a non-profit organisation founded in November 2017 by 11 Hong Kong women who—instead of planning a heist—are masterminding the demise of single-use plastics. They include Tatler 500 listers Emily Lam-Ho, Yolanda Choy-Tang, Tansy Lau-Tom and Angela Cheng-Matsuzawa (see the full list of founders below)—all of whom are coincidentally mothers, and influential women in their own right. Together, they’re championing change in Hong Kong corporations and schools through educational film screenings, audits and advice on reducing single-use plastics and tailored events such as panel discussions and speakers series. 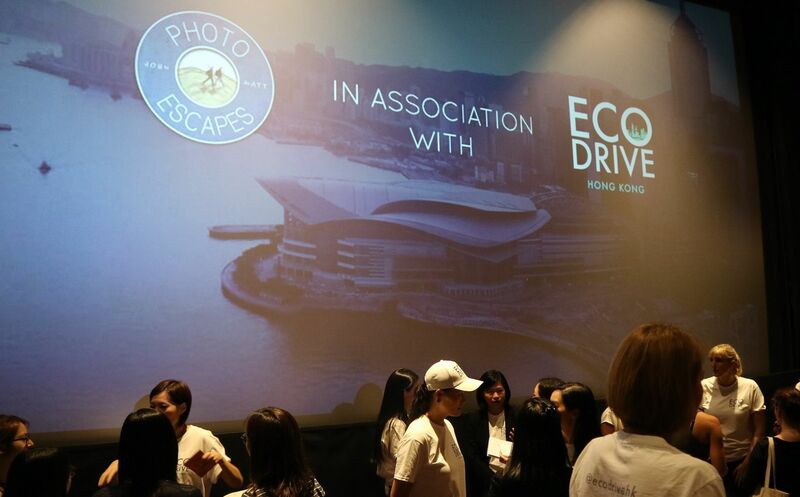 Since November, EcoDrive Hong Kong has screened “A Plastic Ocean” (a documentary showing the startling amount of plastic pollution in our seas) to over 9,000 individuals, advised Hong Kong’s private members clubs on how to reduce their disposable plastic usage and educated over 4,000 students on the subject of single-use plastics. With partners including the Plastic Oceans Foundation, Plastic Free Seas, WWF and Jane Goodall Institute, the focus is very much on educating the next generation. “It’s really for the children,” said EcoDrive co-founder Sherry Fung at the premiere of “Start Small, Start Now," the group's first-ever original production. Fellow EcoDrive co-founder Emily Lam-Ho also shared how motherhood changed her perspective on recycling. Like “A Plastic Ocean”, “Start Small, Start Now” shows the shocking amount of plastic pollution in Hong Kong—from the suffocating amount of styrofoam and plastic bags used in takeaway orders from a Sheung Wan congee shop to the infinite mounds of rubbish washed up daily on what would otherwise be a beautiful Hong Kong beach. Featuring stunning drone videography and inspirational interviews with local activists, it’s a film that definitely makes you want to take action. “We had so much material; it took a long time to cut down,” said EcoDrive co-founder Claire Yates (whose youngest brother is one half of Photo Escapes). Say no to straws—bring your own reusable stainless steel straw instead. Carry a reusable water bottle, coffee cup and Tupperware with you. Bring your own reusable bag for grocery shopping. In a city where 5.2 million plastic water bottles are thrown away each day (not to mention all the plastic bags, straws and boxes), these small steps can make a huge difference in fighting Hong Kong's single-use plastics epidemic. Learn more about EcoDrive Hong Kong.